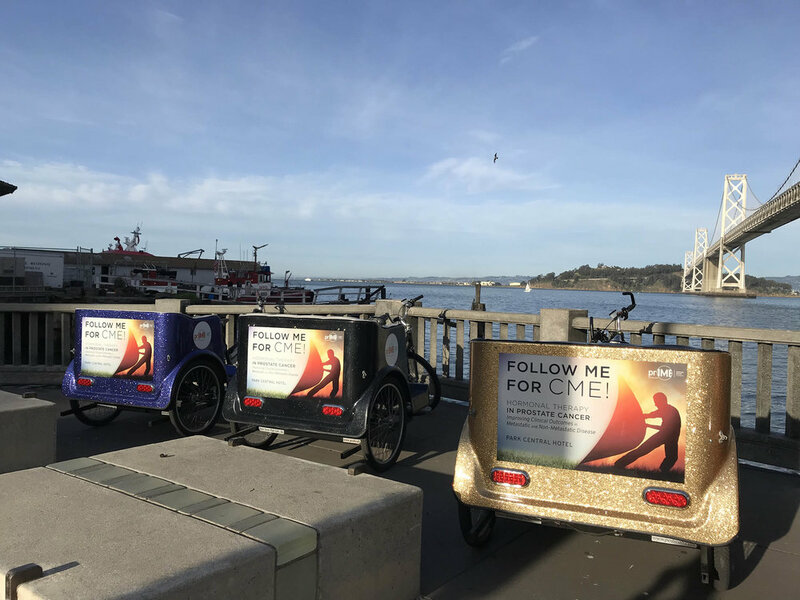 Be the highlight of the scene with an SF Pedicab Campaign! 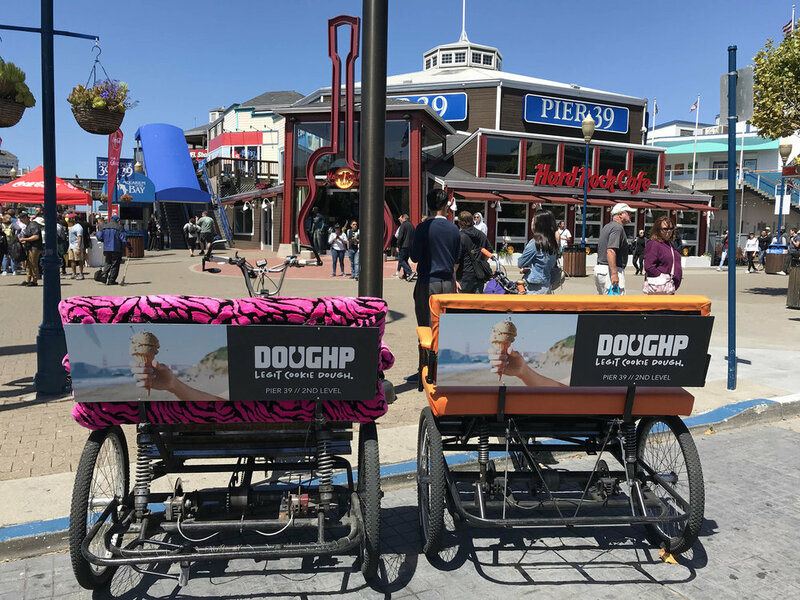 Pedicab wraps... custom upholstery... custom shapes and sizes... we do it all! Our diverse fleet allows us to provide a variety of options to promote your brand or company. Create a uniquely fun and effective presence during Dreamforce, Oracle OpenWorld, and other Moscone Center Conventions -- or anywhere else! We offer the best rates along with the best service and most experienced drivers! Thank you for your inquiry. We'll get back to you ASAP!